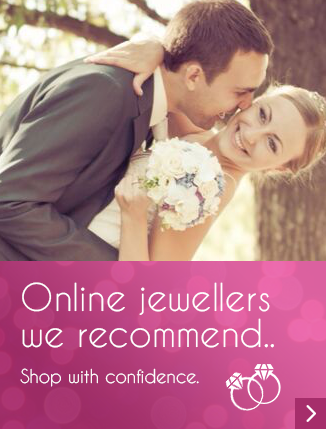 You are at:Home»Jewellery Education»Has the Jewellery Industry gone CAD? An introduction to CAD jewellery design for consumers – Jewellery occupies a unique place in consumer culture. No other wearable item has so much emotion and romance tied in with it. We like the idea of jewellery being forever, something unchanging. This way of thinking even spreads to the way we perceive jewellery being made—the archetypal hidden craftsman at his timeless wooden bench, forming gold with tools which haven’t changed in thousands of years. Perhaps there is something seductive about that idea, that what you wear on your finger is the handiwork of a master who has done nothing else but make jewellery for the last 20 years. What if I told you that, while that master’s focus hasn’t changed much over the centuries, his tools nowadays are very different from what you’d expect? It is true that some tools in the jeweller’s workshop have remained more or less unchanged since we first learned to work with metal in ancient times. Lost wax casting (the process of making a metal object based upon a wax model) has been in common use since the Aztec Empire, and while our materials and machines might look different, the basic process is more or less unchanged since. Likewise, the Archimedes drill, a hand drilling tool invented in the 2nd Century BC by the famous mathematician and engineer himself, is still widely used to this day. But in addition to these old tools, jewellers now have access to a dazzling array of new tools which allow them to make more delicate and sophisticated works of art than ever before. For example, jewellers have inherited from the electronics industry laser welding technology, allowing jewellers to weld gold and platinum parts at sizes and levels of precision never before seen. Most interestingly, though, is the story of CAD/CAM, and how it has caused an entire industry of jewellers to rethink their approach to design and sales. CAD’s origins run parallel with the American military’s rush in aerospace innovation in the 1960’s. 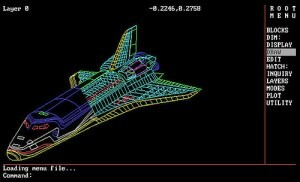 Hand working and machining tools just weren’t accurate enough for the creation of supersonic aircraft, so the engineers decided to make math computer programs which could be used for perfect geometric design. These machines, when matched up with industrial milling machines adapted to work based on computer created tool paths, were the first CAD/CAM machines. Once the civilian automotive industry saw what these machines could do, they leaped at the chance to become the first non-military industry to use CAD/CAM. From there, as the tools have become smaller and more elegant, increasingly organic areas of product design have taken it onboard. Most interestingly, each area of product design has left its mark on how the tools work. Now, to look at the latest generations of CAD tools, it’s sometimes hard to believe these sculpting tools have any relation at all to the mechanical line plotting software used to build the space shuttle. At their best, modern CAD tools can combine all the finesse of sculpting in clay with the precise control needed for making an iPhone or shoes. Jewellery was the last of all product design fields to find a use for CAD/CAM, even after fine art sculpture. But even now, there are many misconceptions about what CAD really is. What, Exactly, Do You Mean When You Say “Handmade”? 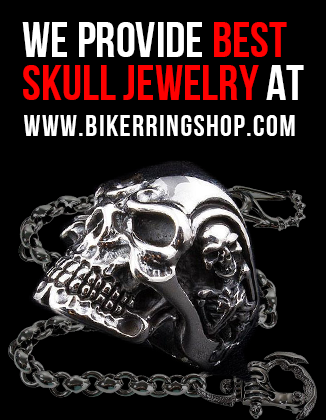 The first and most common misconception revolves around the concept of “handmade” jewellery. Rather than seeing it as product design, many people tend to perceive fine jewellery as a kind of craft and design. This confusion has created an entire market for craft jewellers, and has resulted in some curious expectations as to how fine jewellery might be made. While there are certainly common creative elements shared between craft jewellers, fashion jewellers, and fine jewellers, the tools and methods of working each of them use are surprisingly different, sometimes to the point as to be an entirely different process. Of course, the tools used for making a ring out of platinum and setting diamonds are going to be very different from what we would use to cast a pot metal brooch and glue in stones. The problem is the expectation which comes with this association. Since craftsmen seem to work with their hands, doesn’t that mean jewellers should be working with their hands as well? 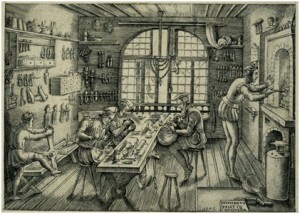 Well, actually, if we think about the tools any craftsmen uses, how much of them are truly just working with your hands? Wood carvers use chisels, power tools, and chemical treatments which are very harmful to skin. Even craft jewellers use lost wax casting, soldering tools, and various small scale power tools. If we move to the level of precision required by fine jewellery, it would make sense that a craftsman would want every bit of help they can get in making designs come to life as perfectly as possible. This is where the precision of CAD comes into play. Like any other tool, however, it must be used well. So Not Just Anyone Can Do It? This brings the other misconception about CAD. Because the software is often designed so users can work quickly, it can look much easier than it really is. This can lead people to believe it is an easy short cut into learning to make jewellery. Given how many young people work with video games, and how so many people are fascinated with the computer-made scenes and characters we see in movies, it almost looks like a kind of game. Well, in a way, there is a bit of a game-like aspect to it. Master craftsmen who know their trade can use this to try their designs out, seeing how it can look on the screen before they have the piece cast. This ability to see a piece before it has even been made is the strongest asset of CAD, and has opened up a whole world of affordable bespoke design to a new generation of customers. At their best, bespoke jewellery designers now can work wonders with a client’s ideas, and agree on the perfect design even before the metal and gemstones have been purchased. At its very best, CAD can allow a designer to create delicate details and flourishes difficult or even impossible by any other means. Combined with the best of hand craftsmanship skills, jewellery purchasers will wonder how the design could have possibly been made. 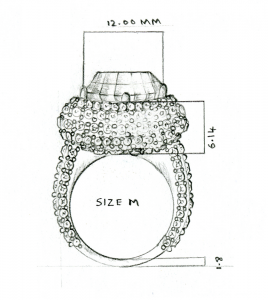 And, best of all, with the help of CAD-based bespoke design a customer can have more say than ever as to exactly how they’d like their perfect ring to look. 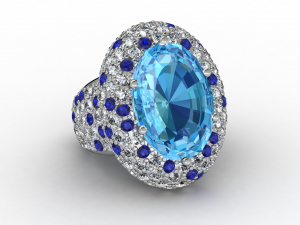 While it may not match the traditional image of how a jeweller used to work, there are few things more romantic than a design where you tapped your own imagination, made possible with the help of CAD. Jack Meyer is Senior CAD/CAM Tutor at Holts Academy of Jewellery in London. He is a certified trainer for all major types of CAD software currently used for jewellery manufacturing. He writes and delivers diploma and short courses on the subjects of design communication, production management, and CAD for Jewellery Manufacturing.